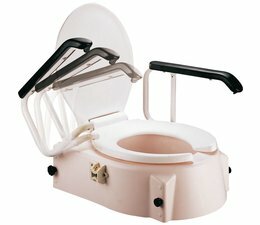 Excel Care HC-1106 is an extended toilet seat. The toilet seat is height adjustable. 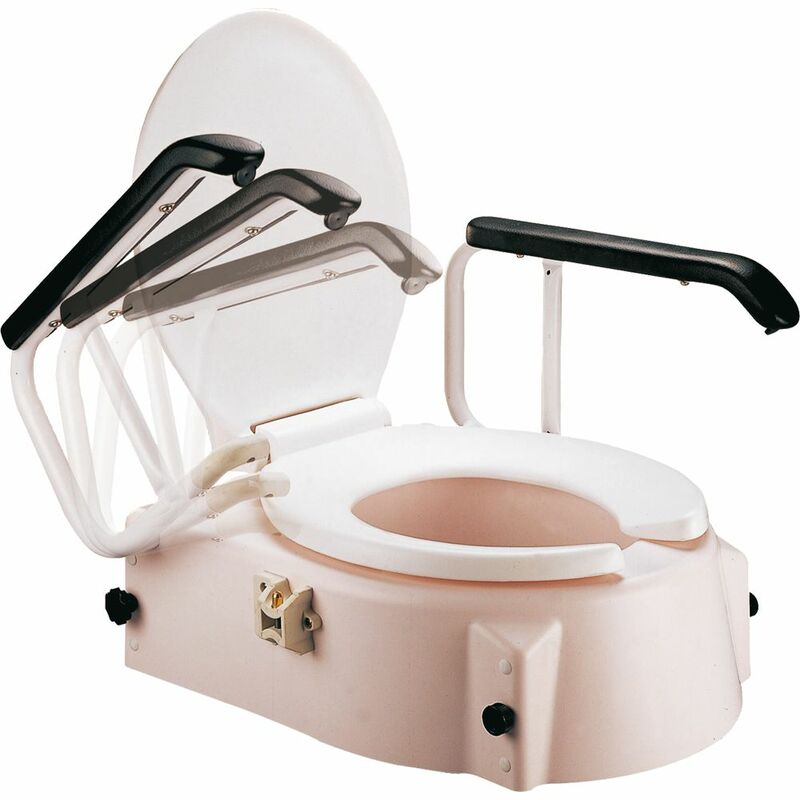 ExcelCare HC-1106 is a toilet seat equipped with seat and lid. By folding armrests, the use of the toilet seat a lot easier. Also, the armrests serve as support when standing up and sitting down. The seat height is adjustable in the following heights: 6, 10 and 14 cm. ExcelCare HC-1106 can be placed on almost all standard toilets. The toilet seat is made of high quality plastic. The smooth texture is hygienic to use and easy to clean. Product complies with EN 12182. Remark: The range (if mentioned) is measured under ideal circumstances in a clinical test. Range can vary and is influenced by the battery condition, user weight, road conditions, outside temperature, tire pressure and way of usage.